Looks like the Batwoman pilot over at The CW has found its main villain and, in true The CW style, it’s another veteran DC actress. 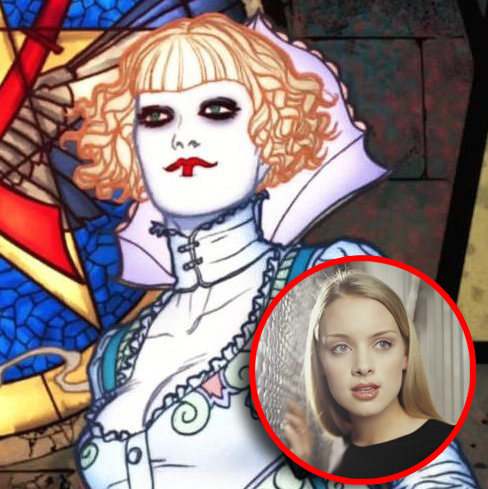 Rachel Skarsten has been cast as Alice in the upcoming show from Greg Berlanti. Skarsten played Dinah Lance in the Birds of Prey TV series back in 2002 so she’s already part of the DC Universe in a fairly substantial way and since BoP was made by The WB which was formerly The CW ala Smallville, it could be argued she’s already in the Arrowverse. We love all these connections! As for Alice, here character, she’s sort of Batwoman’s answer to The Joker: The leader of her Lewis Carroll–inspired Wonderland Gang. Swinging unpredictably between maniacal and charming, Alice has made it her mission to undermine Gotham’s sense of security. Th character typically speaks in lines from Lewis Carroll’s Alice in Wonderland tales but is not related to either Joker or Mad Hatter in any way. We’re looking forward to seeing how this all turns out. Batwoman has been given a pilot order and is likely to join the The CW’s Arrowverse in the near future.